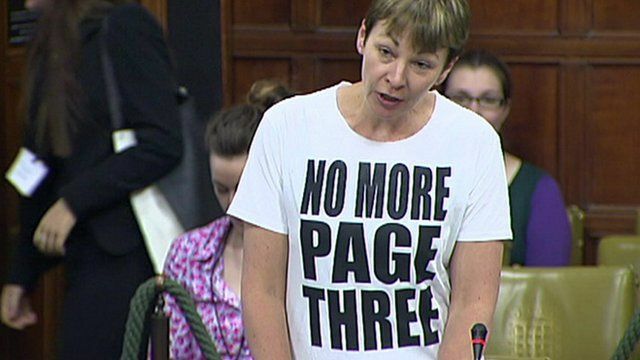 An MP has been reprimanded for wearing a T-shirt displaying the slogan "No More Page Three" in large lettering during a parliamentary debate. Caroline Lucas, Britain's only Green MP, was speaking on sexism in the media. But the MP chairing the session, Labour's Jimmy Hood, told her she was in breach of Westminster's dress code, and ordered her to cover up.